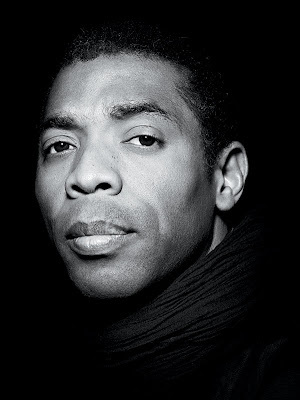 Afro beat maestro and one of Africa’s greatest music exports, Femi Kuti, is set to perform at Nigeria’s most prestigious music awards, The Headies, scheduled for October 20, 2012 at the Eko Hotel and Suites, Victoria Island, Lagos. This is the first time an Afrobeat musician of Femi Kuti’s clout will be aligning with a Nigerian contemporary music award scheme. No doubt, The Headies, also known as Hip Hop World Awards, is fast becoming a blend of generational genres of music. The Afrobeat legend and Grammy nominee, Olufela Olufemi Anikulapo Kuti, popularly known as Femi Kuti, began his international career in 1988 when he was invited by the French Cultural Centre in Lagos and Christian Mousset to perform at the Festival d’Angoulême (France), the New Morning Club in Paris and the Moers Festival in Germany. Femi Kuti, in the course of his music career, has shown strong commitment to social and political causes. In 2001, Femi collaborated on his album Fight to Win with a number of U.S. musicians, including Common, Mos Def, and Jaguar Wright. He created his own band, Positive Force in the late 1980s with Dele Sosimi (Gbedu Resurrection), former key-board player of Fela Anikulapo Kuti. “My career is not based on awards. I sincerely mean what I sing about. My music is truly fighting for electricity, good healthcare service, good roads, equal education for my people and African unity. It’s neither a love song, nor commercial and it still gets headlines and good reviews. I’m especially touched when young people appreciate what I am doing,” Femi Kuti says. The full list of artistes scheduled to perform at the award ceremony will be announced in due course by the organisers. Other Hall Of Fame Inductees includes Dayo D1 Adeneye, Kenny Ogungbe, Phillip Trimmel, Olisa Adibua, Obi Asika, Femi Akintunde Johnson, Sir Shina Peters and DJ Jimmy Jatt. He was born on June 16,1962 in London, United Kingdom. In 2002, Femi’s mother, who had played an influential role in Femi’s life, died at the age of 60. Femi’s son,,Made, currently appears as part of his act, playing alto saxophone. Also in 2002, Femi contributed a remake of his father’s classic song, “Water No Get Enemy”, to Red Hot & Riot, a compilation CD in tribute to Fela Kuti that was released by the Red Hot Organization and MCA. His track was created in collaboration with hip hop and R&B artists, D’Angelo, Macy Gray, The Soultronics, Nile Rodgers, and Roy Hargrove, and all proceeds from the CD were donated to charities dedicated to raising AIDS awareness and fighting the disease. Femi Kuti’s voice is featured in the videogame Grand Theft Auto IV, where he is the host of radio station IF 99 (International Funk 99, described as “playing a great selection of classics from West Africa, the US and elsewhere”). In similar fashion as his father, there have been complaints of Kuti’s criticism of his homeland Nigeria, specifically in the song Sorry Sorry.